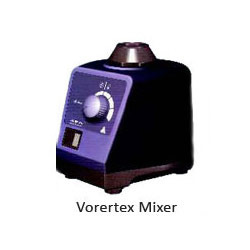 New Vortex Mixer Suitable for touch or Continuous Operation. MX-F can be used various shaking application with optional adapters For Eppendorf etc. Adapters securely clicked onto appliance in any position. Special Designed silicone feet and steel base for excellent Vibration damping. Eccentric with oilless ball bearing. Voltage (VAC) : 110-120 / 220-240. Established in the year 2007, in Delhi, (India), we “Pharma Lab World,” are renowned exporter, distributors and suppliers of superior quality array of Bio Safety Cabinet, Flame Photometers, Autoclaves Vertical Horizontal etc Under Brand of TECHO. These products are sourced by our procuring agents from only certified and reliable vendors of the international market in observance with predefined quality standards.These products are available in various specifications in order to fulfill the variegated needs of the clients. The entire range is widely appreciated optimum strength, easy installation, robust construction and longer life. In order to provide world class products, we have developed strong association with reputed vendors of the international market, who are known in the market for their goodwill.